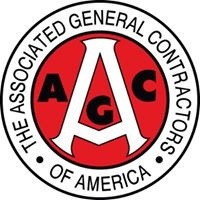 WASHINGTON, D.C. – (RealEstateRama) — Construction employment increased by 36,000 jobs in January to the highest level since August 2008, according to an analysis of new government data by the Associated General Contractors of America. Association officials said a possible new measure being discussed in Washington that would invest an additional $1.5 trillion in repairing and improving infrastructure would both help the sector continue to add jobs and attract new workers. Construction employment totaled 7,099,000 in January, a gain of 36,000 for the month and 226,000, or 3.3 percent, over 12 months. The economist pointed out that the­­ year-over-year growth rate in industry jobs was more than double the 1.5 percent rise in total nonfarm payroll employment. Residential construction—comprising residential building and specialty trade contractors—added 19,000 jobs in January and 88,400 jobs, or 3.3 percent, over the past 12 months. Nonresidential construction (building, specialty trades, and heavy and civil engineering construction) employment increased by 16,400 jobs in January and 137,200 positions, or 3.3 percent, over 12 months. The number of unemployed jobseekers with recent construction experience fell to 707,000 in January, down from 859,000 in January 2017, while the unemployment rate in construction dropped to 7.3 percent last month from 9.4 percent a year earlier. The number and rate were the lowest for January since the series began in 2000. Unemployment data by industry are not seasonally adjusted, and winter figures for construction are normally higher than they are for total nonfarm employment, but these declines show how difficult it has become for the industry to find experienced workers, Simonson said. Average hourly earnings in the industry climbed to $29.33, a rise of 2.9 percent from a year earlier. The economist noted that construction pays nearly 10 percent more per hour than the average nonfarm private-sector job in the United States. Construction officials said that a new presidential push to boost infrastructure investments by $1.5 trillion over the next ten years would give a needed boost to infrastructure contractors who, according to construction spending figures released yesterday, have seen lagging demand compared to other market segments. Moreover, significant new and long-term investment in infrastructure would help encourage more people to consider high-paying careers in construction.